We care deeply about each of our clients and demand full compensation for your injuries. Looking for the Best Personal Injury Lawyer in Santa Monica, CA? McGee, Lerer & Associates consists of husband and wife attorney team, Daniel McGee and Catherine Lerer. 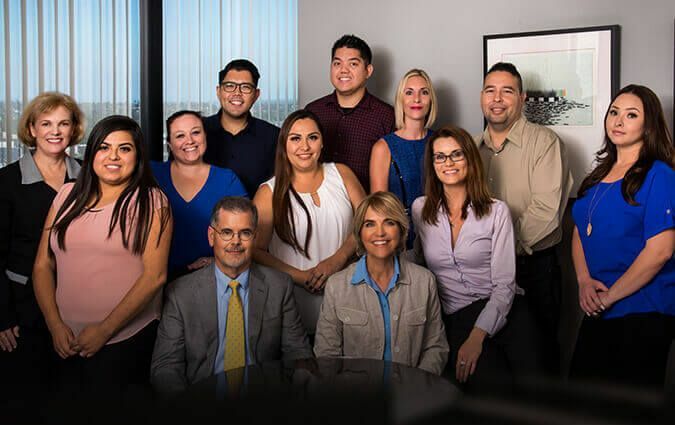 We have 40+ years of combined legal experience representing accident victims, including victims of: car accidents, motorcycle accidents, bicycle accidents, and dog bite incidents. Our firm specializes in catastrophic injury and wrongful death cases. Our lawyers have a track record of obtaining multi-million dollar verdicts and settlements. With our personal injury expertise, the financial resources to thoroughly work up a case, and our trial experience, we are able to obtain maximum compensation for injury victims and their families. Clients hire McGee, Lerer & Associates because they want an attorney they can trust. They want a lawyer who will listen to their concerns and prioritize what's important to the client. They want a law firm that will be honest with them about the strengths and weaknesses of their case. We don't tell you what we think you want to hear so that you will hire us. What is important to us is providing you with a realistic appraisal of your case's value and a realistic timeline. We want you to fully understand the process before you hire us. We have an unrelenting passion for what we do, and you can rest assured in our time-tested legal abilities. Ask An Attorney You Asked and We've Responded! Read questions from other visitors, view our attorneys’ responses to these questions or submit your own question. You may find an answer that applies to your situation. We take the time to understand each aspect of your case in order to tailor your solution. Until and unless we succeed in providing your compensation, we don't charge you a dime. Learn more here. We're available before and after normal business hours to meet with you and start your case. Watch videos from previous client testimonials sharing their experiences with us. Browse our FAQ page to gain a better understanding of our firm and your options moving forward. We put our several decades of combined experience to work for your best possible result.